The Notre Dame Girls Soccer Advanced Camp staff is carefully selected and oriented to provide girls with individual attention, while giving them the opportunity to grow, both individually and as team players. The camp features the coaching staff of the Notre Dame Women’s Soccer Program, led by Head Coach Nate Norman, as well as current Notre Dame players as counselors. Sign up quickly as spots fill up fast! 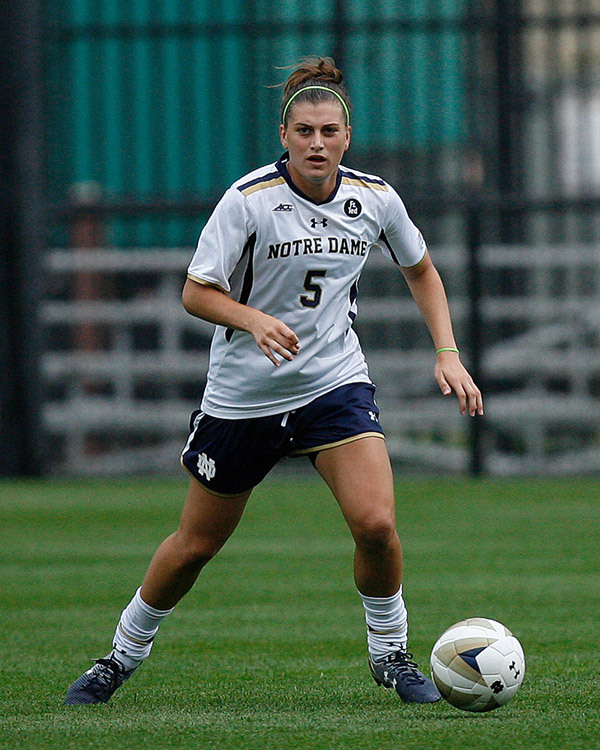 The setting for the Notre Dame Girls Soccer Camp is the nationally renowned campus of the University of Notre Dame, located on the outskirts of South Bend, Indiana, 90 miles east of Chicago on the Indiana Toll Road. All campers will reside in one of the residence halls normally occupied by undergraduate students of the University. Meals will be served in the North Dining Hall. Many of the nation's finest athletic facilities will be utilized during each camp session. The difference between good soccer players and great soccer players is individual skill and tactical knowledge. But, more important is the ability to apply this skill and knowledge while under the pressure of the game. This ability can only be achieved through individual, group and team tactics, well-supervised skill development and intense training. The staff of the Notre Dame Soccer Camp is carefully selected and oriented to provide girls with individual attention, while giving them the opportunity to grow, both as individual and as team players. Our coaching staff includes many of the top high school and college coaches from around the country. We also bring in the highest quality college players available. Every year a number of current and former Notre Dame players come back to campus to help our campers get to the top of their game. This program is designed to push goalkeepers to reach their athletic potential. The addition of highly competitive small sided and evening games rounds out the impressive program. This program is available during all camp sessions. Each full day will include two training sessions and evening games, followed by a lecture and an All-Star game the last night. Visit the Notre Dame Women's Soccer website for more details and to register.